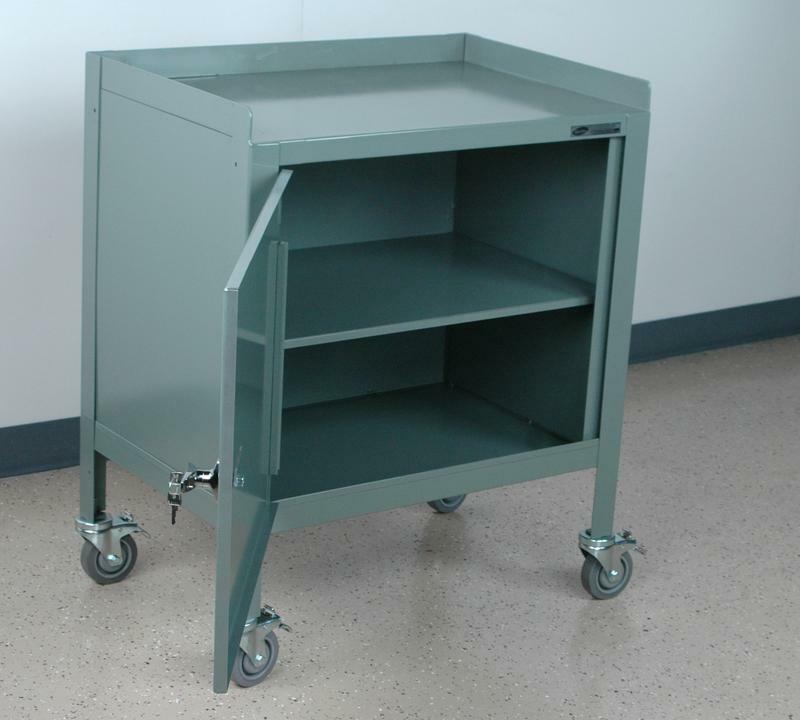 This full welded stand will withstand the toughest conditions because of it's design and heavy gauge steel construction. The door is great when necessary and includes a t-handle with lock. 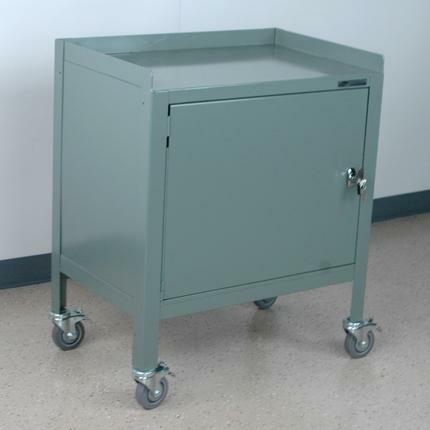 Other accessories such as casters, middle shelves, drawers, and even bin rails can always be added to these units.